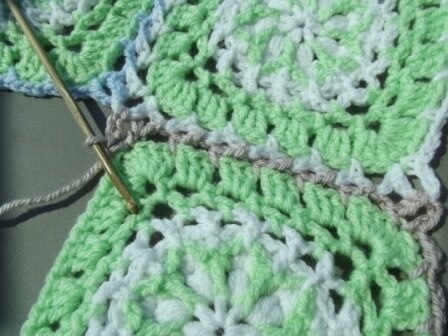 This is part three of the flat braid crochet join tutorial. The third square is joined the exact same as the second. However, those who have never used this join before might have some questions when it comes to doing the corner. 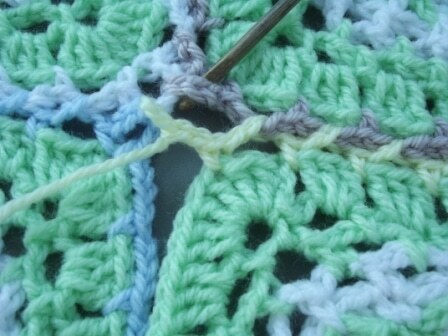 Therefore to take the guesswork out, I decided to provide an image showing how to do the corner as well. 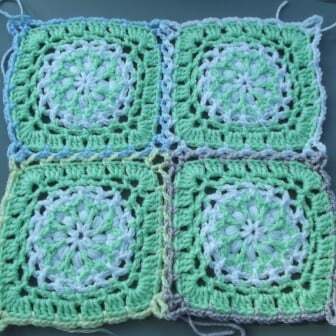 As for the fourth square, it is slightly different than the second and third squares as you need to join it along two sides. The join along the side is the same, however, when you get to the corner you need to join the fourth square to two corners. That means you need to follow a few extra steps. 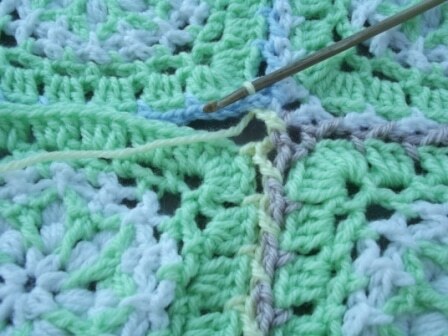 Once again, crochet the first two sides the same as you did for the first square. Join the third square to the first exactly the same way as you did the second. 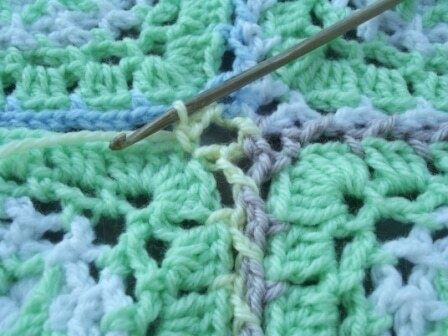 Even at the corner, you need to join it to the first square only as pictured. Forget the second square is even there. 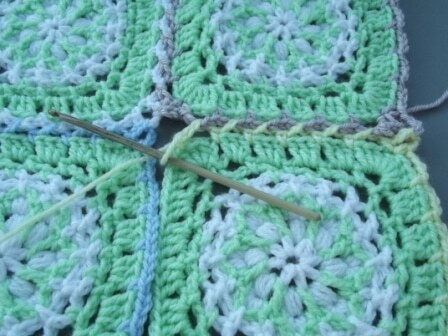 Finish the third square the same as the previous. 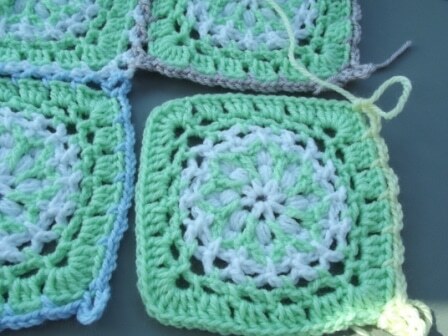 For the last square, crochet along the first side only as you’ll be joining 2 sides. 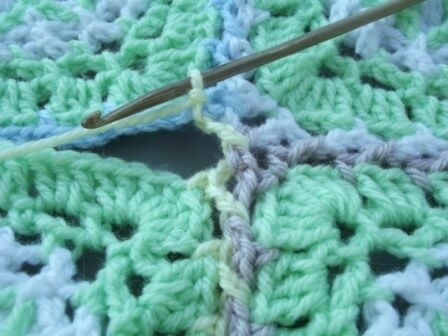 Join the first corner and first side the same way as for the previous 2 squares. Joining at this corner might be a little tricky, but it doesn’t have to be. Make your first 2 chains as previously. 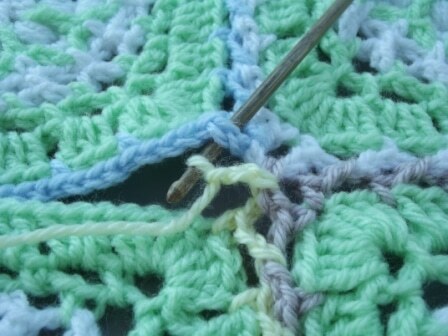 Insert your hook into the corner loop of corresponding square. Still working the same as established, pick up the loop and pull through. Once again, chain 1 to secure. Then make another 2 chains. This is where it’s a little different. 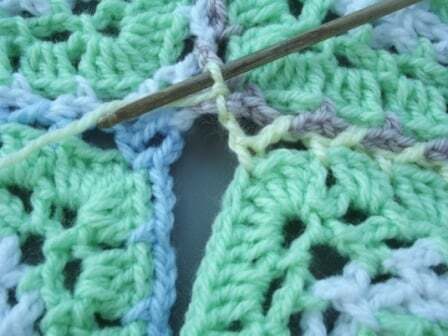 Instead of crocheting back into the corner of the current square, you are going to turn your work to crochet along the second edge. Once again, drop your loop and pick it up from the next corresponding corner. 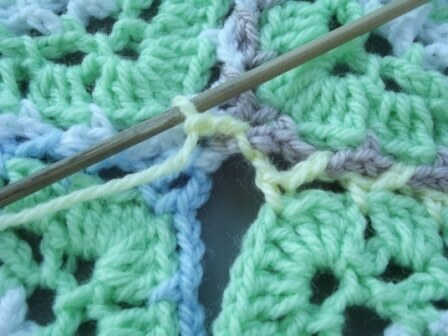 Ignore the corner of the first square as it is already joined to the second and third squares and does not need to be joined to the fourth square. 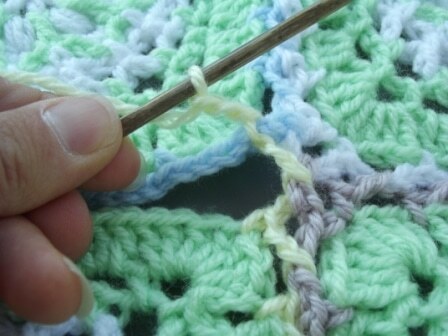 Now you’re ready to single crochet back into the corner loop of completed square. Continue to join the second side the same way as previously established. 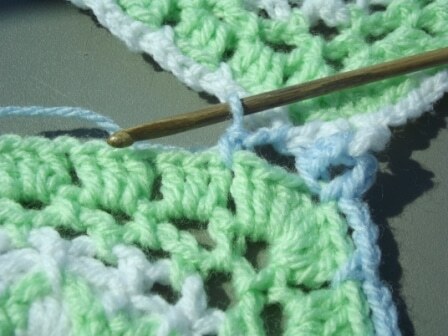 Crochet along the last side and join with a slip stitch to the first single crochet stitch. Fasten off. 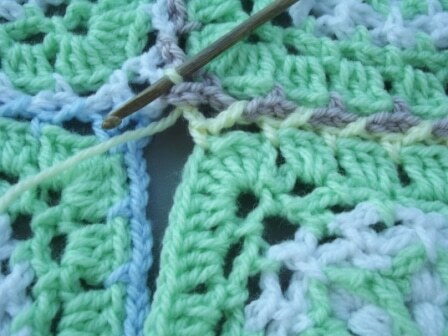 This is a great tutorial, but what do you do if you are joining more than 4 squares? I couldn’t find such as a useful tutorial even in my mother language. Normally my country’s women are doing these kind of crochet in a very successful style. But no tutorials as you made here. Thank you very much.